Admission for all undergraduate programs is processed through the College of Education’s Office of Student Services. SESPECS offers an undergraduate degree with a major in special education. This degree is part of the Unified Early Childhood ProTeach program. Only applicants seeking admission to this program are eligible for admission. Undergraduate applicants who wish to pursue study in special education need to apply for admission to the Unified Elementary ProTeach program. For more information on the Unified Early Childhood ProTeach Program, please contact Dr. Mathien. For more information on the Unified Elementary ProTeach program, please contact Dr. MacSuga-Gage. Our certificate programs have a rolling admissions process. We do not adhere to strict deadlines for applications but will consider applications as they are received. However, it takes some time for applications to be processed through UF’s admission system. With that in mind, we suggest the following guidelines for completing your application file. This masters program is only for students currently in the Unified Elementary Proteach (UEP) Program that wish to complete their fifth year in special education. We have a rolling admissions process and do not adhere to strict deadlines for applications but will consider applications as they are received. However, it takes some time for applications to be processed through UF’s admission system. With that in mind, we suggest the following guidelines for completing your application file. Applicants applying for the Specialist Degree Program must have already earned a graduate or professional degree from a regionally accredited U.S. institution. As of August 1, 2011, the GRE (Graduate Record Examination) switched to a new scoring system. The “old” verbal and quantitative GRE scores ran from 200 to 800, with 10-step increments over a range of 61 points. The “new” verbal and quantitative GRE scores ranges from 130 to 170 with one-point increments over a range of 41 points. GRE scores are valid for up to 5 years from the test date. Live Well has a rolling admissions process. We do not adhere to strict deadlines for applications but will consider applications as they are received. However, it takes some time for applications to be processed through UF’s admission system. With that in mind, we suggest the following guidelines for completing your application file. Teach Well has a rolling admissions process. We do not adhere to strict deadlines for applications but will consider applications as they are received. However, it takes some time for applications to be processed through UF’s admission system. With that in mind, we suggest the following guidelines for completing your application file. The test score requirements for the Master’s and Specialist degree are different. Please view the appropriate program below. Doctoral Program - Ph.D. & Ed.D. Read all the information and instructions on this webpage about the application process. The Special Education Doctoral Program has a rolling admissions process. We do not adhere to strict deadlines for applications but will consider applications as they are received. However, if you wish to apply for a fellowship all application materials need to be received by the end of November. 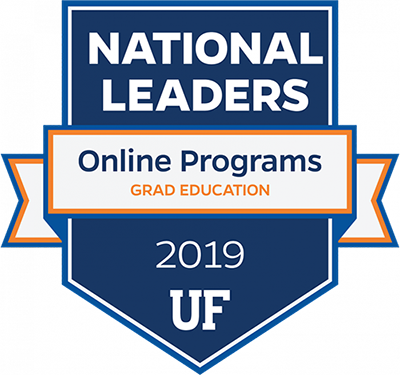 Read all the information and instructions on the UF Office of Admission graduate admissions webpages, by clicking on this link: UF Office of Admission: Graduate Admissions. Fill out and submit your online application and application fee payment here: Online Application. 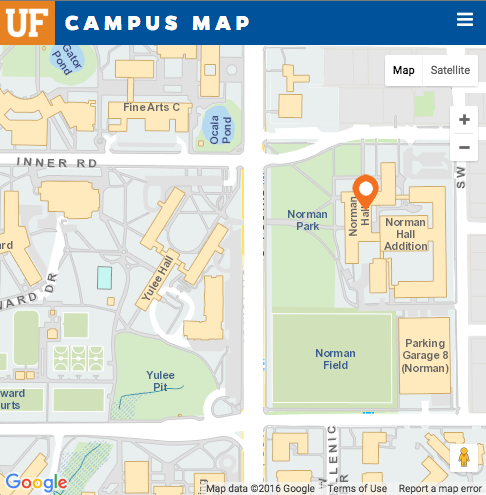 Have your official test scores (GRE, TOEFL) and transcripts (with official English translations of them, if the originals are not in English) sent to the UF Office of Admission (POB 114000, 201 Criser Hall, Gainesville FL 32611-4000, USA). The test score code for UF is 5812. Send the following materials to the UF Office of Admissions (POB 114000, 201 Criser Hall, Gainesville FL 32611-4000, USA). The test score code for UF is 5812. If you are a non-US applicant, send your Certification of Financial Responsibility Form to the UF International Center (POB 113225, 123 Grinter Hall, Gainesville FL 32611-3225, USA). E-mail the Special Education Department and let them know that you have submitted your application online. There is a nonrefundable $30 fee for each application you submit to a UF graduate program. You can pay this fee online by credit card or via mail with a bank check made payable to the “University of Florida.” Payment must be in US funds. Your application cannot be processed without a fee payment. The university cannot waive or defer this fee, except for participants in designated sponsored programs. The University of Florida’s school code for submission of GMAT, GRE, TOEFL and TSE scores is 5812. The UF Office of Admission has a number of supplemental forms that you may need to fill out and send to it as part of your application process. You can find these forms online by clicking on this link: UF Office of Admission Forms. Official Graduate Records Exam scores. At least three letters of recommendation from individuals in a position to evaluate your graduate study potential and/or field related work experience. Documentation of a minimum of two years of appropriate professional experience suitable for admission into the Special Education program area. Professional settings and specialized interest areas. Skills and/or characteristics that will facilitate the applicant’s pursuit of the goals cited. A writing sample. The writing sample is a 6-10 page scholarly paper following APA guidelines about a current issue in special education. What was the nature of your academic preparation and interests during your baccalaureate / master’s program? What factors influenced your decision to pursue special education as a career? What factors influenced your decision to pursue a doctoral degree? In what setting would you be most inclined to work following the completion of your degree? What factors, events, or experiences have led to this selection? Tell us about your experiences working with children and youth with disabilities. What are the major changes you believe will occur in the field of special education? What do you believe your strengths are when it comes to being a doctoral student? What skills would you need to work on? What else do you wish to have the selection committee know about you? Note: A personal interview is highly preferred, but the following substitutions may be accepted under extenuating circumstances: (1) audio/videotape of candidate responding to specific questions; (2) formal interview with an individual faculty member; (3) conference call with candidate.